It’s hard to overstate the importance of a rental application when it comes to tenant screening. By verifying and then cross-referencing the application to the tenant credit report and references, a landlord can spot a bad tenant before it’s too late. But this fundamental landlord tool is only as good as the information provided by the applicant. 1. Don’t provide the rental application unless the applicant has been prequalified. Don’t dole out blank applications to anyone who asks. Be certain that the person at least appears qualified — can pay the rent from a verifiable source of income, is willing to care for the property, and won’t be a nuisance or danger to others. One of the secrets to successful tenant screening is cross-referencing information. Prequalifying applicants is an opportunity to hear the tenant’s story — and then watch to see if it changes. 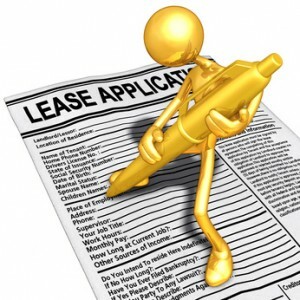 The more work an applicant puts into the leasing process, the more emotional the person will become if rejected. Eliminate any obviously unqualified applicants before the person goes to a lot of trouble. To the extent that the final applicant pool is small and targeted, the landlord greatly reduces the risk of renting to a bad tenant. 2. Warn the applicant that incomplete applications will be rejected. Bad tenants are notorious for sketchy answers on the rental application. “I don’t remember” is a common scam. Warn applicants before they begin the task of completing the application that gaps are not acceptable, and an incomplete application will not move forward. Include a warning that listing references who cannot be contacted will result in the application being rejected. Place the onus on the applicant to explain why the landlord reference is no longer available. If the landlord cannot get in touch with the references, applicants must facilitate the tenant screening process or the application will be denied. This will discourage applicants who were planning to bluff their way into the property by listing references who they know are unavailable. 3. Warn the applicant that the information will be verified. The applicant needs to know before completion of the application that the information provided will be reviewed and verified. Again, tone is important when making this demand. Consider the feelings of the applicant who is being asked to provide very personal information and possibly a rent deposit without knowing the landlord. One of the best ways to phrase this is to explain that the signature on the application provides consent to a tenant background check and verifying the information on the application is part of that process. Landlord Tip: Encourage communication during the application process. The applicant should feel free to contact the landlord with any questions on the application. Establishing rapport and trust will encourage more thorough and accurate responses and the applicant will be more likely to be forthcoming with any details that the landlord needs in order to make an informed decision.